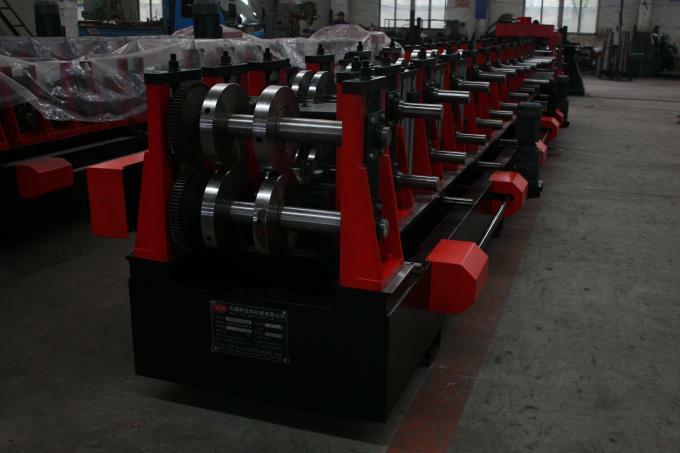 C purline produced by this c purline forming machine is widely used in the main body stress structure of the large and medium-size construction, such as like the plant, the warehouse, locomotive shed, hangar, exhibition building. 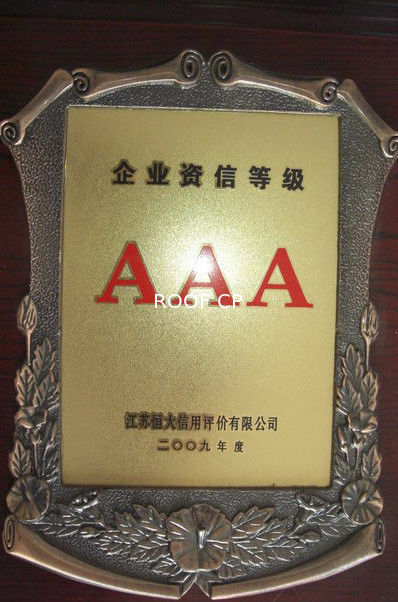 it is known as economic and high efficiency building material. 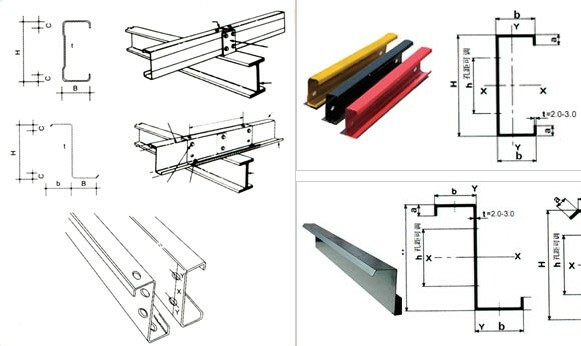 It has replaced angle iron, channel steel, steel tube and tradition purline. Length Of Sheet You can set the length according to your need, such as 1.5m, 3.2m or 6.7m. 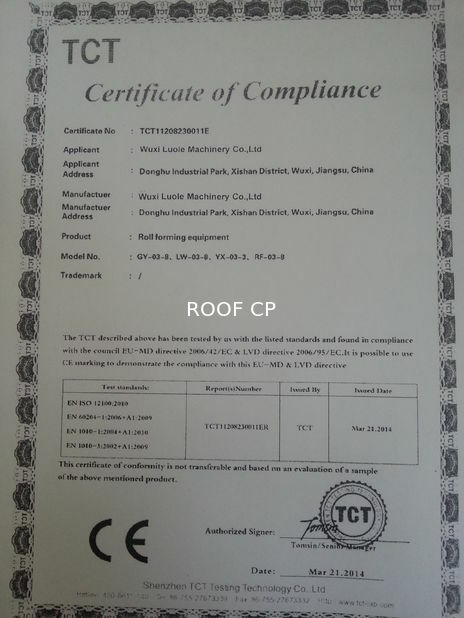 It is controlled by PLC, and can ensure the accuracy of ±2mm. Shaft Material Φ80 mm, high grade 45# steel. Treating process: tempering- finish turning, high rigidity, hard to deform. 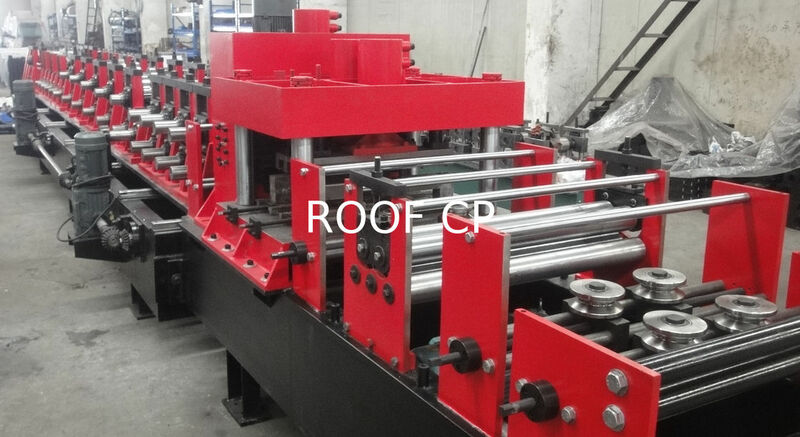 Detailed Forming Process 3 steps for leveling- 12 steps for roll forming-5 steps for adjusting height and width-1 step on the coil-output part for adjusting deviation-1 leveling step to make it straight. Control System Suitable power: 380V, 50 Hz, 3 phase or according to your need. PLC: Delta DVP24ES, well-adapted to various conditions, such as moisture, electromagnetic disturbance. Frequency converter, Delta VFD-M. It has the advantage of slowing down before cutting, to ensure the length accuracy (±1mm, far better than industrial standard ±3mm).